With the eyes of the fashion world on London for London Fashion Week, What Digital Camera was given a rare opportunity to experience a little of what its like to be a photographer shooting a catwalk show. I was to shoot the Osman collection at the BFC’s Courtyard Show Space at Somerset House, so after collecting my accreditation, it was time to get my hands on the kit I’d be shooting with. Canon was very kindly loaning me their top-of-the-range EOS-1D X. Packing in a full frame 18MP CMOS sensor with a staggering ISO range from 50-204,800 (expanded) and a sophisticated AF system, it’s the choice of many pros and ideal for the shooting environment we’d be working in. 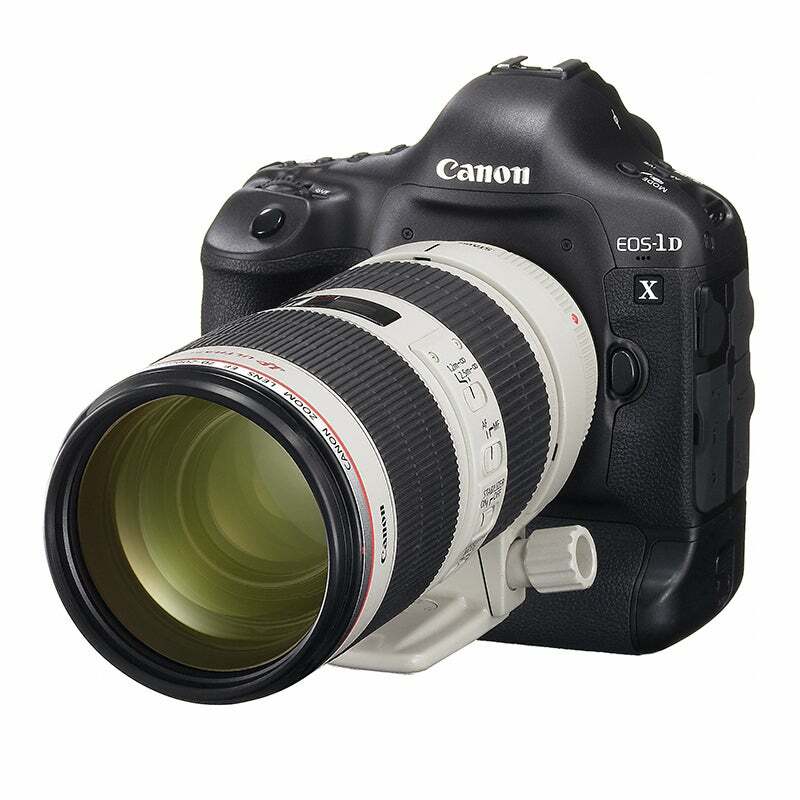 Teamed up with the EOS-1D X was Canon’s 70-200mm f/2.8 L IS II USM. With fast optics and a built-in Image Stabilisation anti-shake system, it would be ideal for both full-length and cropped shots. At the Canon Professional Services (CPS) onsite service centre at Somerset House, I got a run through of the recommended AF settings for the show – the 1D X has a host of AF modes depending on how erratically you anticipate your subject to be moving, while it was also suggested that I use the AF-ON button at the rear of the camera to acquire focus, using the shutter button to simply trigger the camera. Throughout the week, CPS offers a range of services to accredited professionals. Camera sensors can be cleaned and minor repairs carried out. There’s a host of loan equipment on offer too, so photographers who are having kit looked at can carry on shooting, while they can also try out bits of kit such as Perspective Control optics if they’re looking to get something a little different. It was then time to take up position. Each photographer has his or her own little square to set-up at the end of the catwalk. Many photographers rush to claim a spot (normally by way of masking tape with the agency name/photographer on it) at the beginning of the week that they’ll then keep for the length of the show, but I was lucky to have one of Canon’s reserved ‘squares’ just off centre of the runway. As well as bit of argy bargey in the pit, there’s plenty of banter and camaraderie amongst the photographers. With the cover taken off the catwalk, it was time to shoot. A test run had given an exposure of 1/640sec at f/5.6 at ISO 1000, and it followed for the show itself. With models appearing in relatively quick succession, there’s no time to experiment with different settings, but to frame-up and shoot. The continuous AF on the 1D X was phenomenal, delivering pin-sharp results, while the excellent ISO performance saw very little image noise if any at this relatively high sensitivity. In a blink of and eye the show was over, with photographers making a beeline for the door and the press room to wire their images to the world’s agencies and magazines.